At the launch of Mummy & Little retreats I got some lovely Champney's products which I love and if you're pregnant and haven't yet tried them I'd recommend them. I used to use bio oil but I hated the feel of it on my tummy so I'd rarely put it on and I did get lots of stretch marks.. I'd of got them anyway, I just have that sort of skin unfortunately but these products are really helping this time and they leave my skin feeling really soft! Then there is a shower gel which I brought another one of because I loved it so much, it retails for £6 so I guess I should slow down using it. hehe. Blissful bump stretch mark oil - now this I love! It's in a spray bottle so no more oil going everywhere.. It smells nice and actually leaves you belly feeling nice, to make it even nicer I brought the Blissful Bump Body Butter to use after the stretch mark oil as a lady told me if I put the body butter on top of the oil it will be absorbed better (and it feels really soft). They sell the range in Boots and you can get a 'Champney's Ultimate Collection Gift Set' for £25 which includes all of the above so saves you £11. Also I actually love the smell of them and considering using the Body Butter afterwards too as I think it's a fair size for £10. 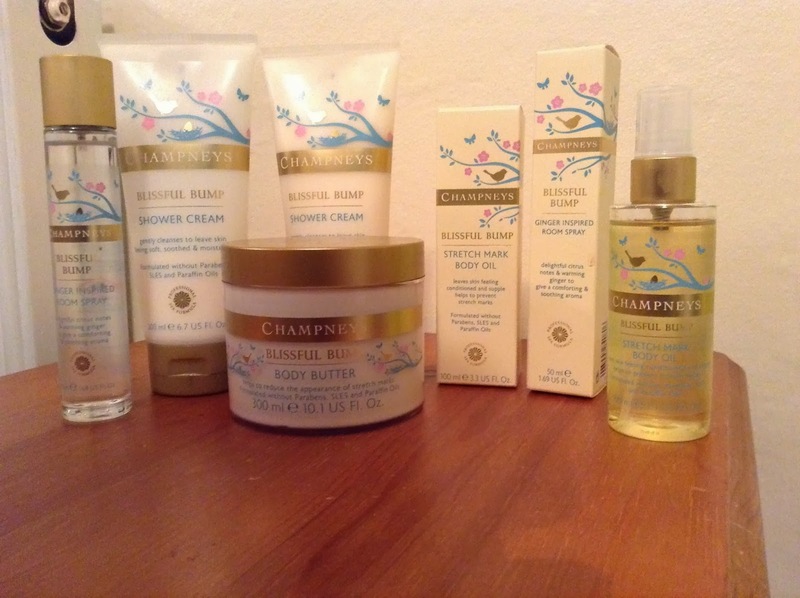 Have you tried Champney's blissful bump range?.. What you do you think of it?